WW II 4th Draft Registration Index "Old Man Registration"
Complete idiot's guide to online genealogy - McClure, Rhonda R.
Easy methods for preserving your heirloom documents, photos, home movies and more in a digital format - McClure, Rhonda R.
Mentioned by presenter Roger Dudley, DPL Archivist Librarian on Saturday October 6, 2012. This dramatic film portrays one woman's trip back into her own and especially her mother's past. "Mothers, daughters. The never ending story of good versus evil." This family gets a second chance when the mother/wife losses her memory. This 2011 film's motto is "Embrace the dysfunction." The matchmaker is a romantic comedy that details a desperate politician's courting of Irish votes. And portrays an exaggerated version of searching for ancestors and the common Ellis Island identity crisis of name changing. A dramatization of author Alex Haley's family line from ancestor Kunta Kinte's enslavement to his descendents' liberation. These rare and fully searchable old books, historical maps and documents give fresh insights into the daily lives of your early American ancestors. This online historical collection features a range of remarkably diverse genealogy records including old maps, tax bills, town meeting reports, autobiographies, theater playbills, almanacs, advertisements, funeral sermons and much more. Uncover hard-to-find facts about your ancestor in these vintage books, maps and documents. 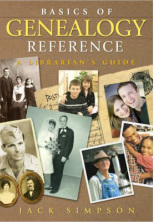 You can pay for a copy of this popular genealogy software or use the free download available here. 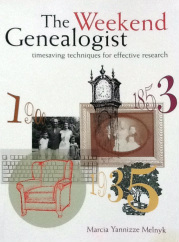 Anyone can benefit from using this genealogy software. Whether you want to create a family tree chart for sharing with others or import thousands of files, Legacy can handle it with ease. It has powerful search tools and can manage general and research note files up to a million characters. 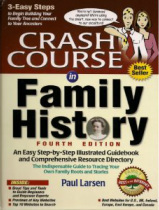 It can even be used to print family history books. 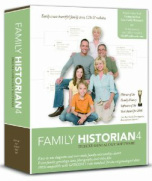 We think experienced genealogists and family historians will find that Legacy can perform all the tasks they need to manage large volumes of information. In many ways this genealogy software is highly competitive and can perform most of the same functions as other applications. They have evolved to include features to satisfy modern expectations such as DNA data storing and website creation. We like that it can work with common genealogy file types such as PAF and GEDCOM for compatibility and easy importing of existing research. What keeps RootsMagic just barely out of the top two genealogy software is a minor lag in multimedia tools and negligible aesthetics in regards to the interface, not overall functionality. 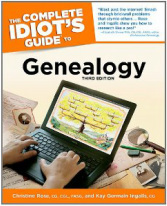 Ancestral Quest 12.1 genealogy software will not disappoint new genealogists. You’ll gain confidence as you enter the facts you know about individuals in your family and will get that thrill of discovery when numbers indicating new facts may be available online. Ancestral Quest is not as pretty as some of the other genealogy software packages and superfluous features can be distracting, but the automatic research feature will motivate you to find more information. A little push could result in a big payoff. Fill out the assessment tool after each session or contact us on the comments page by filling out the survey.